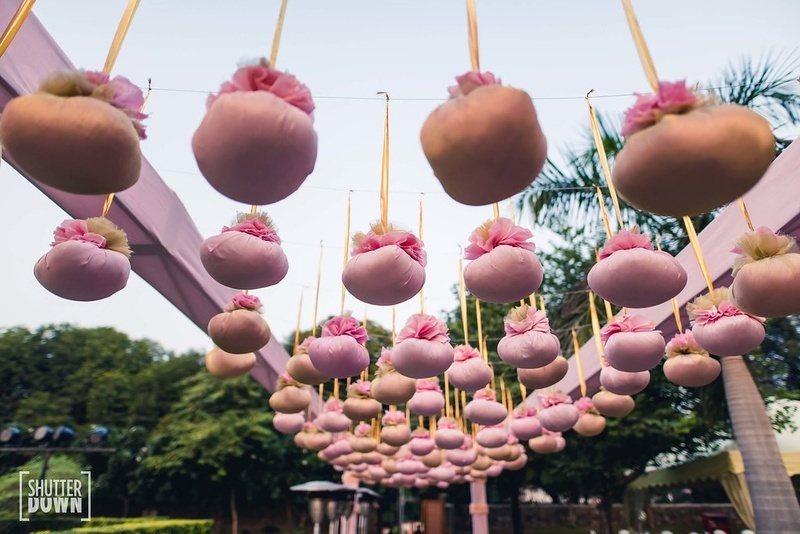 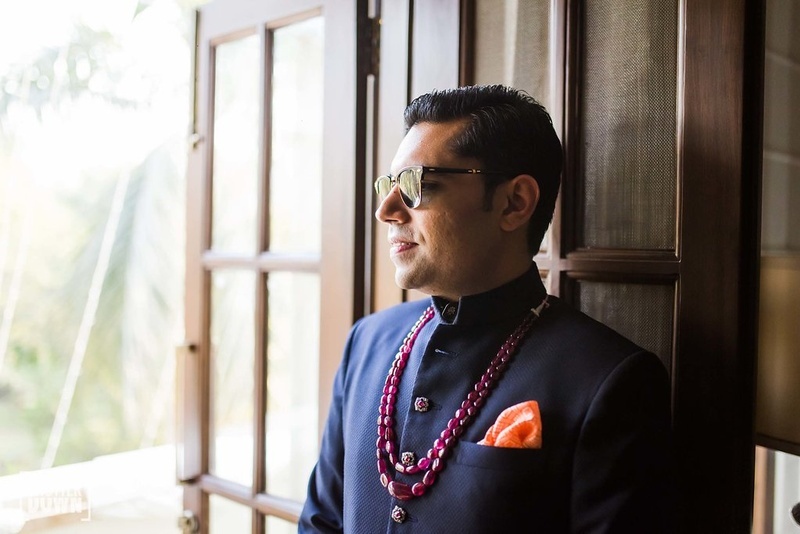 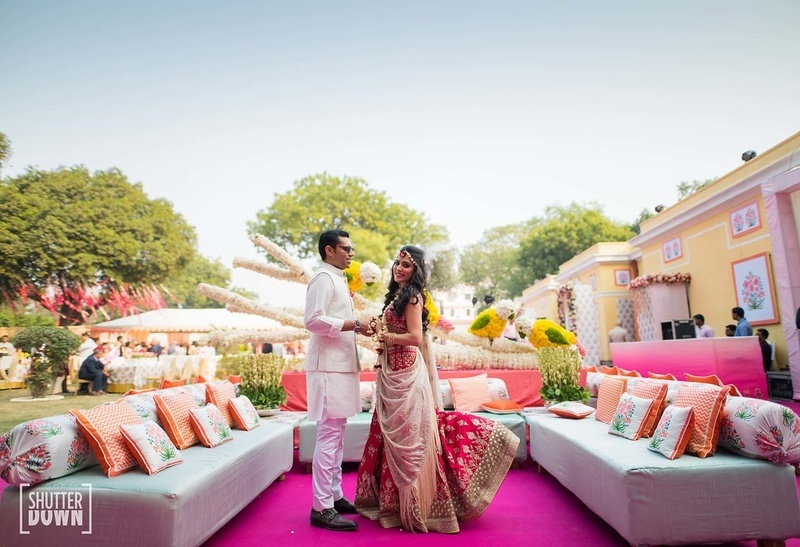 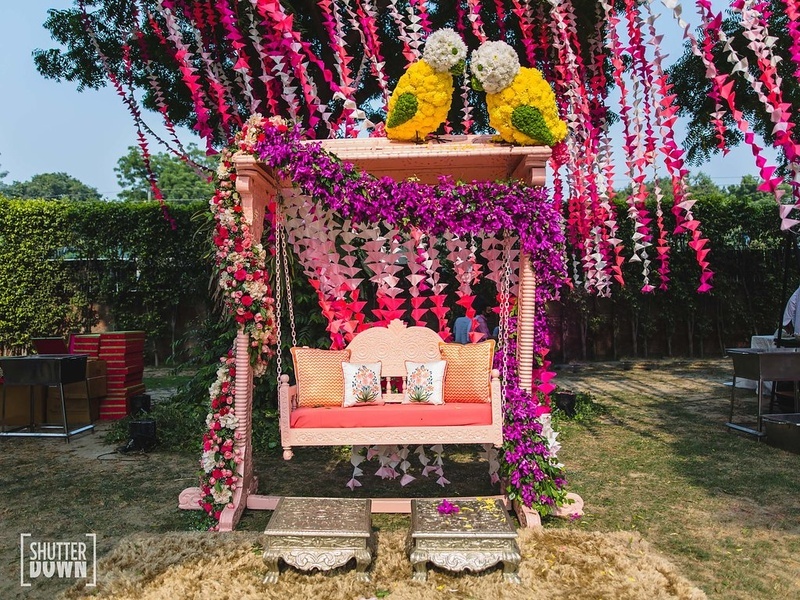 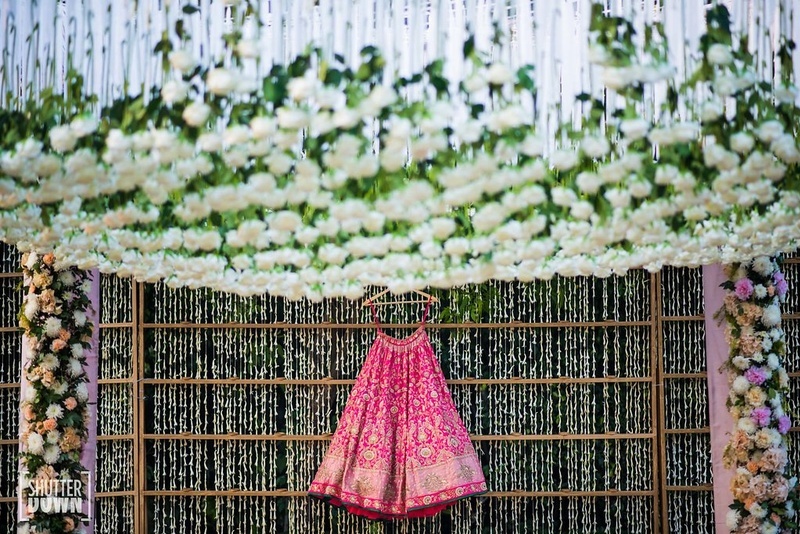 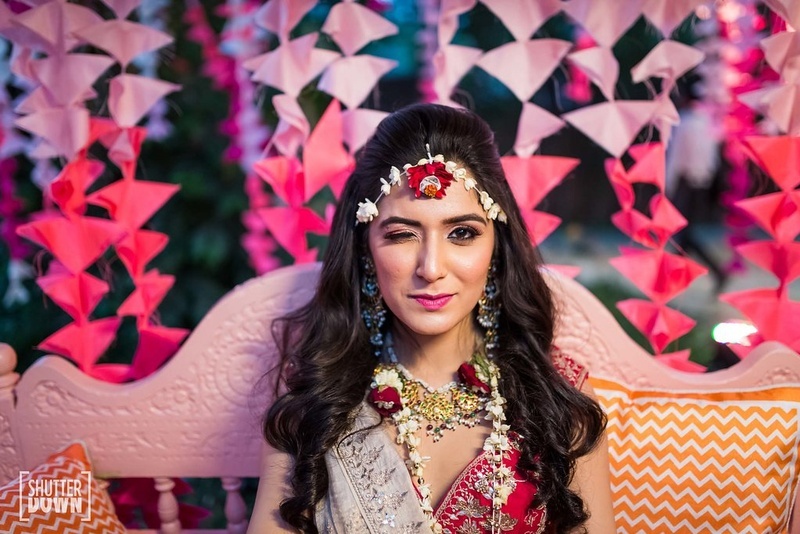 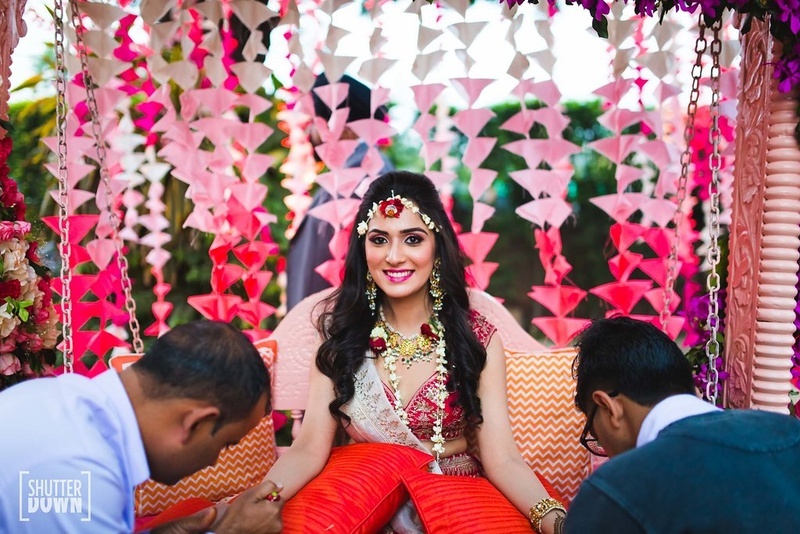 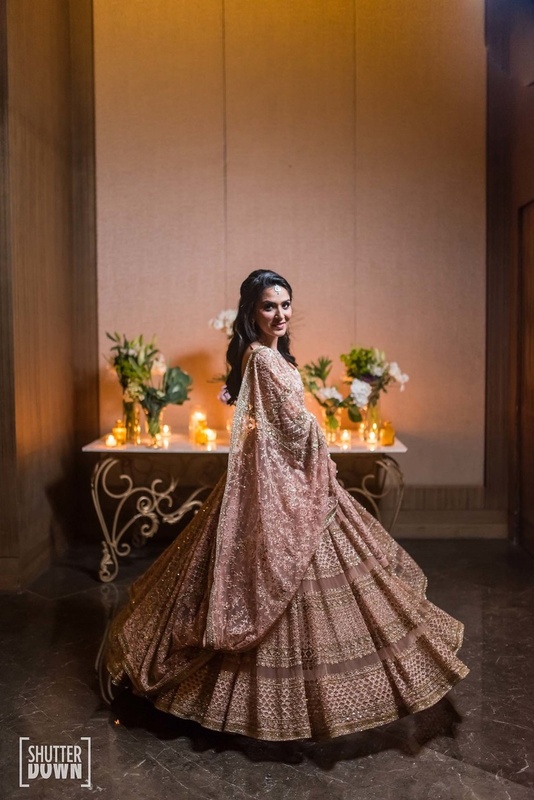 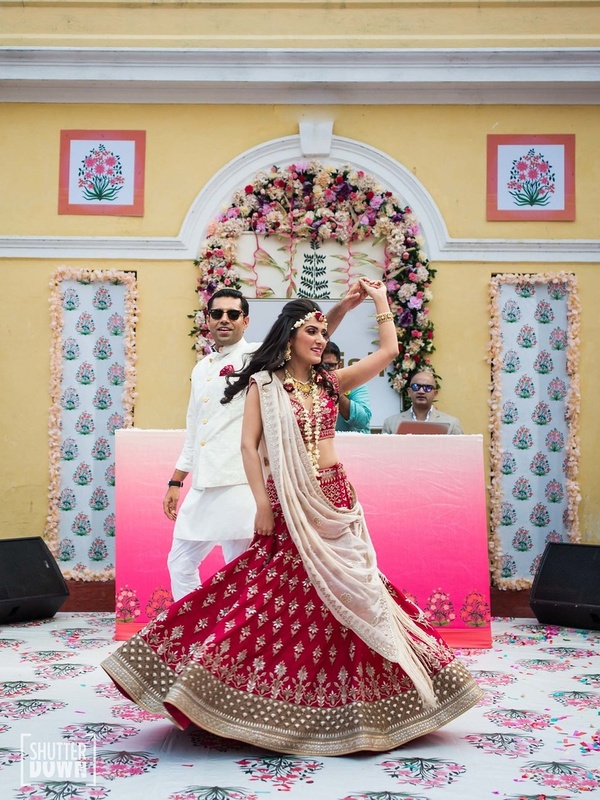 This Taj Palace Hotel wedding is giving us crazy decor goals for summer weddings! 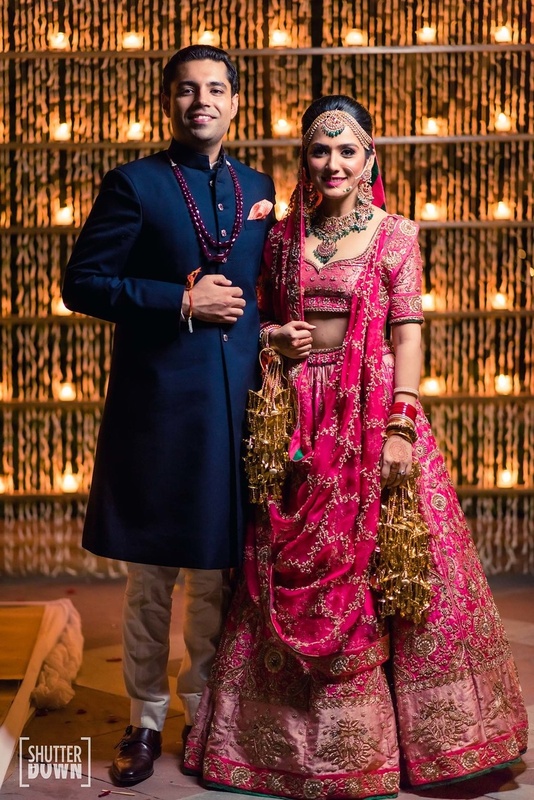 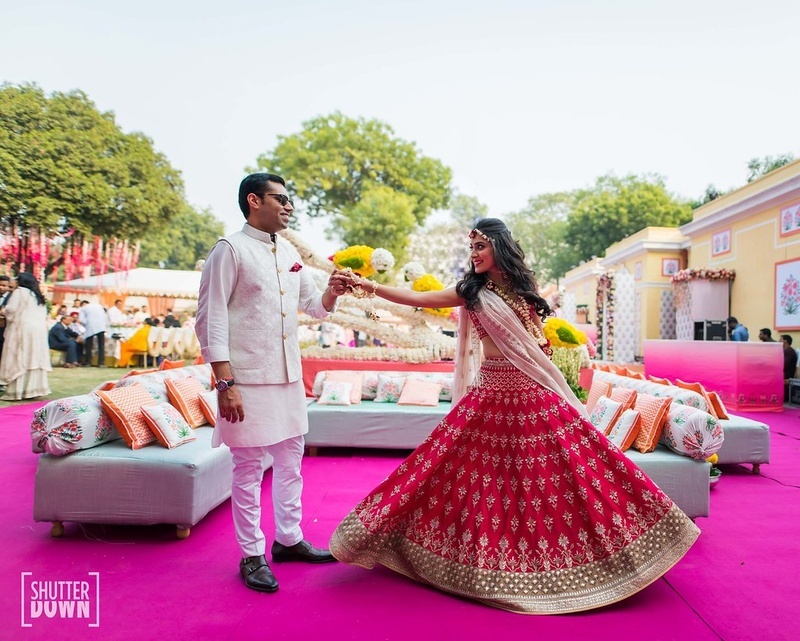 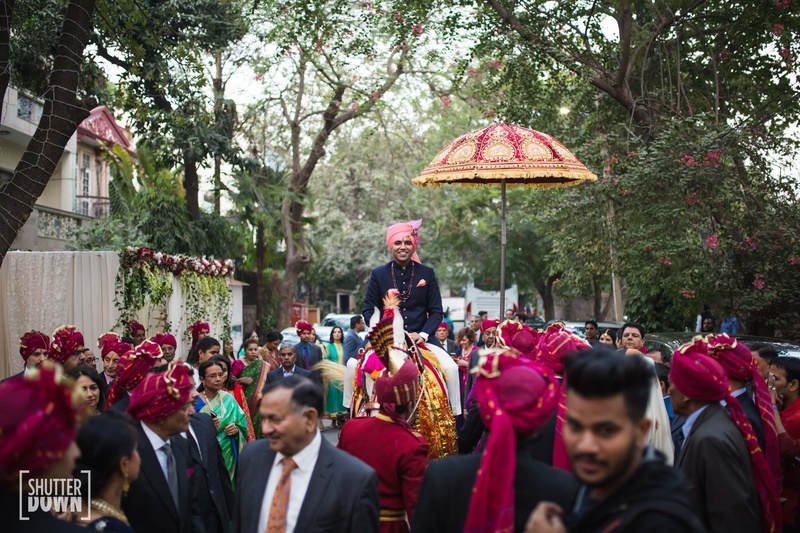 Rishika and Akhil just got hitched at a beautiful Delhi destination wedding, with The Taj Palace hotel playing host to their guests and family. 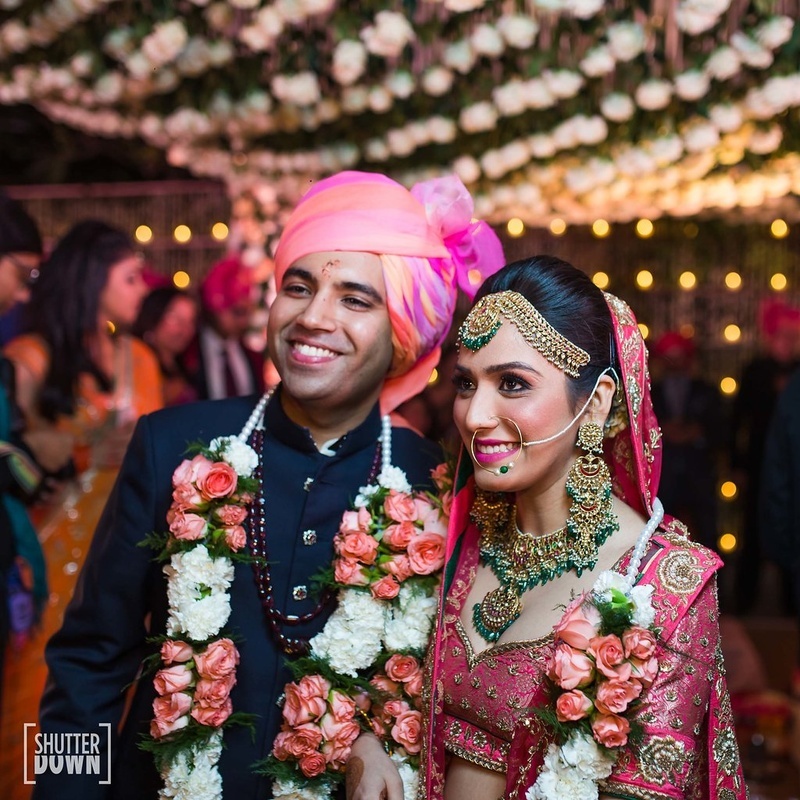 From picturesque open air areas to traditional rooms, the hotel has played the perfect host to this gorgeous bride and her entourage. 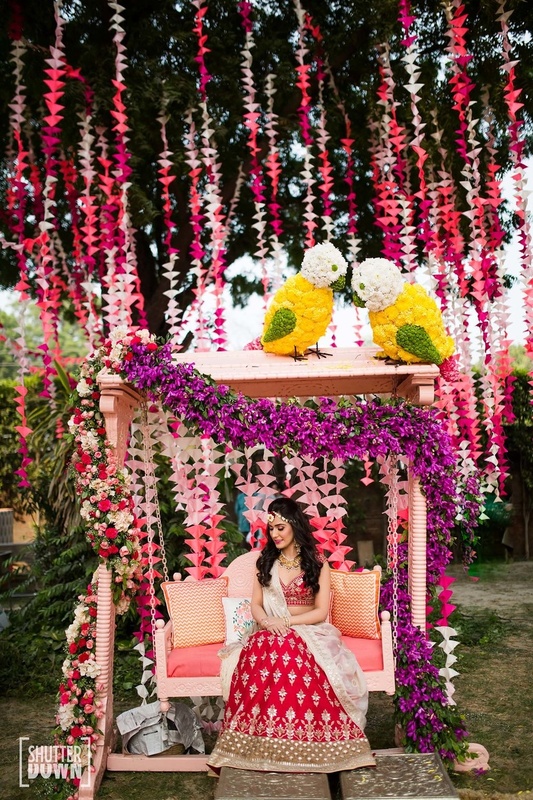 Rishika and Akhil's wedding is full of inspiration for real brides-to-be, right from their decor ideas to unique and offbeat attires. 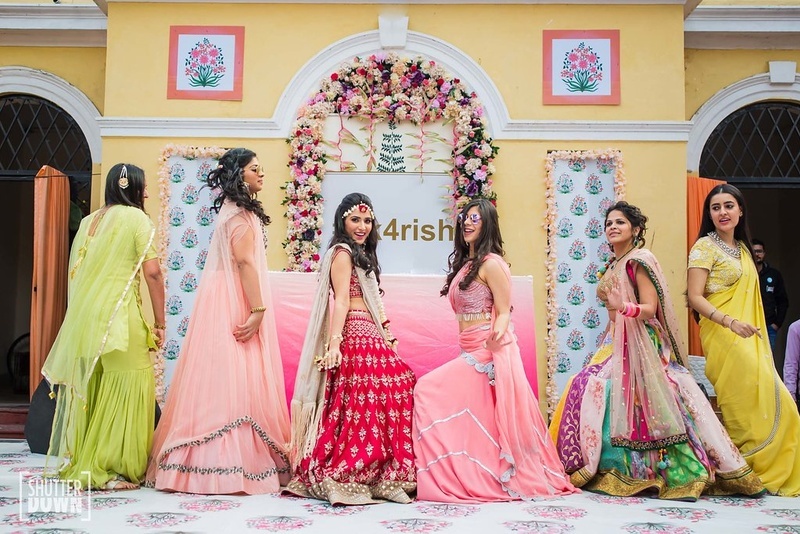 The one thing that struck us most was the creative decor that Rishika had at all of her functions. 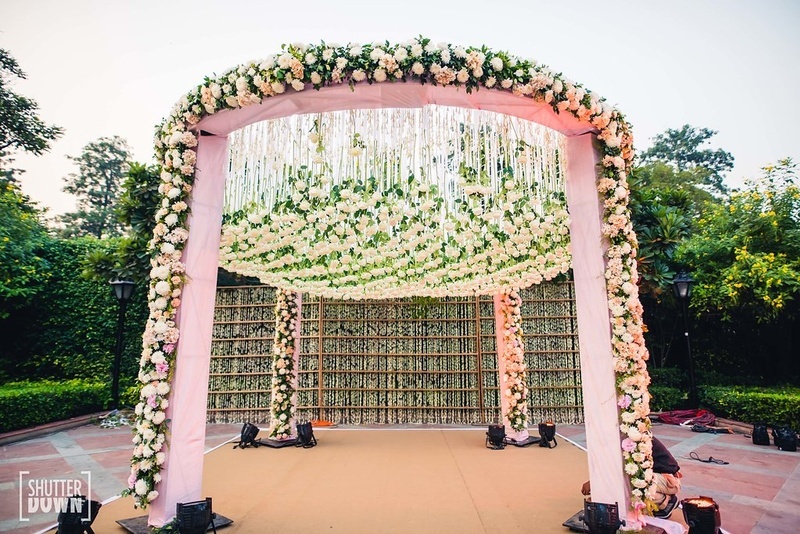 We saw potlis making up the ceiling in her open air ceremony space, absolutely gorgeous birds and nature landscape using only florals. 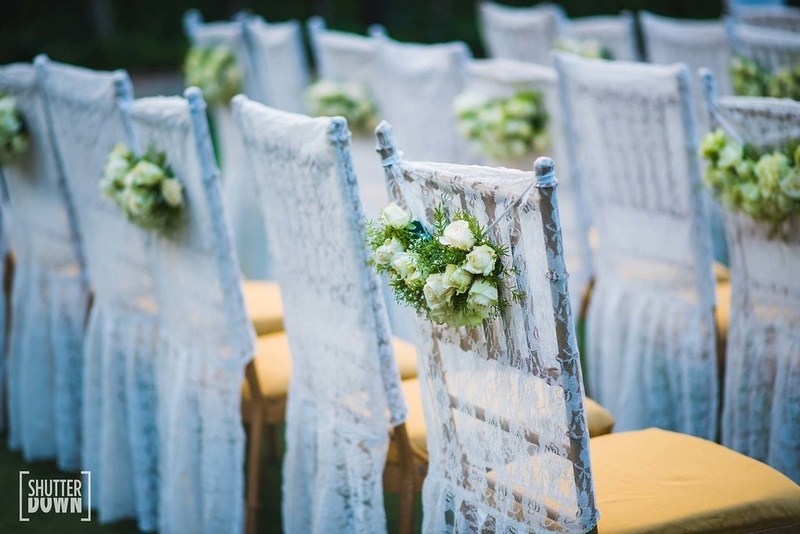 From pure white lace covered chairs to pastel and white flroal ceilings, this wedding has showed us how to keep tacky on the minimum and elegance on the max. 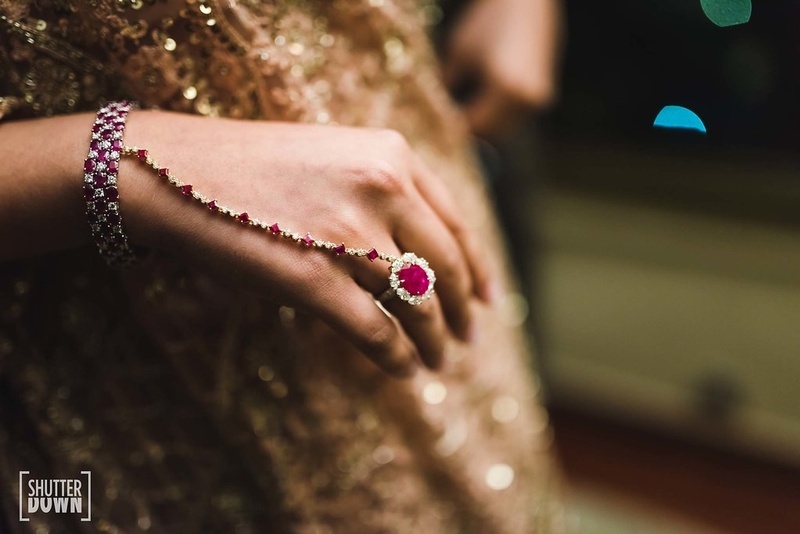 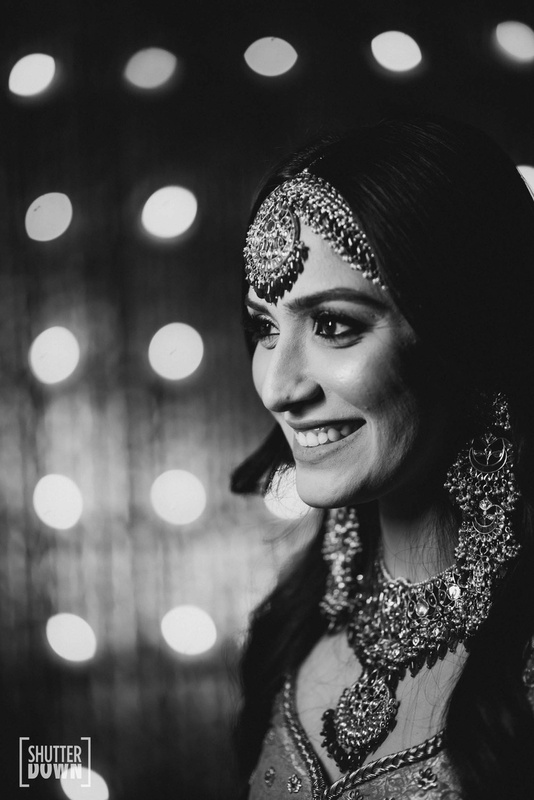 Even Rishika's outfits and jewellery gave us tons of bridal goals! 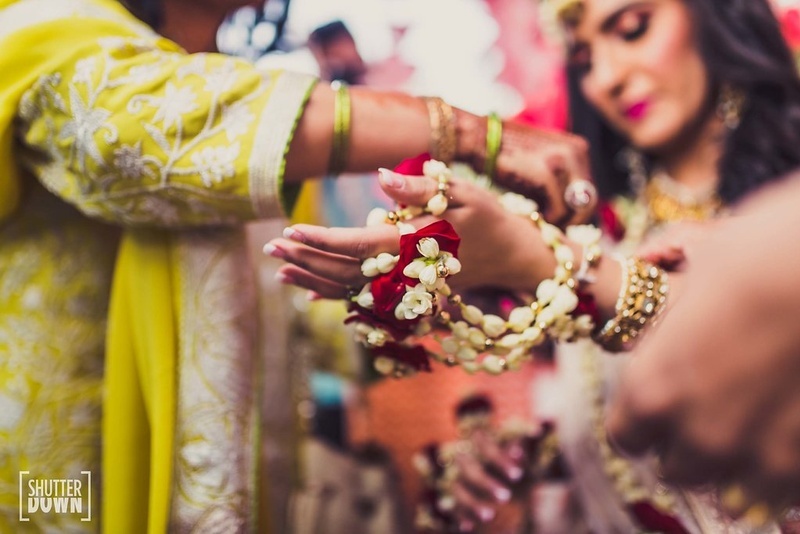 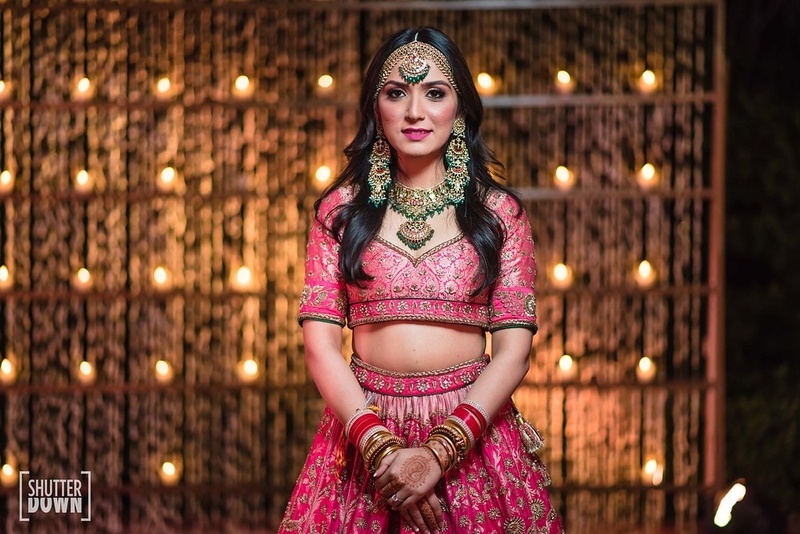 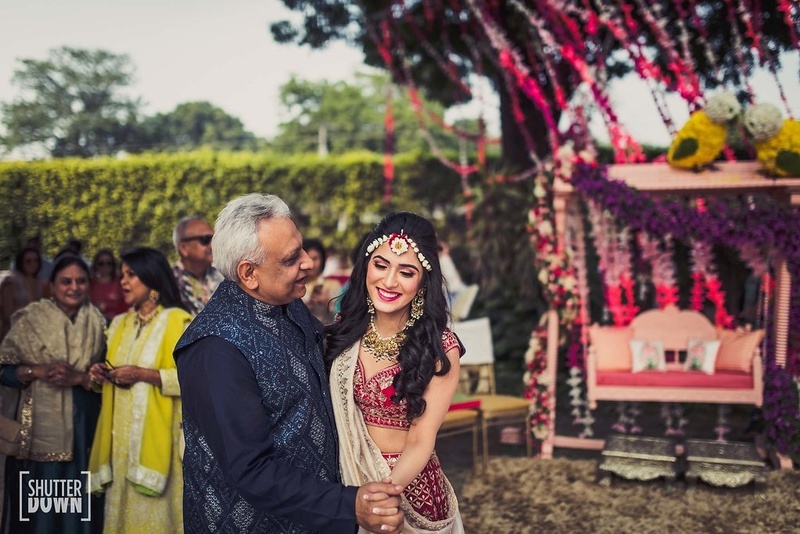 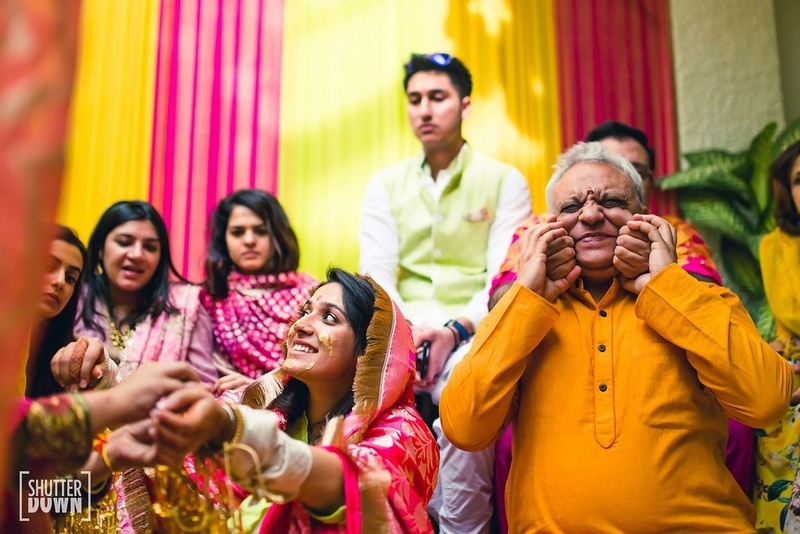 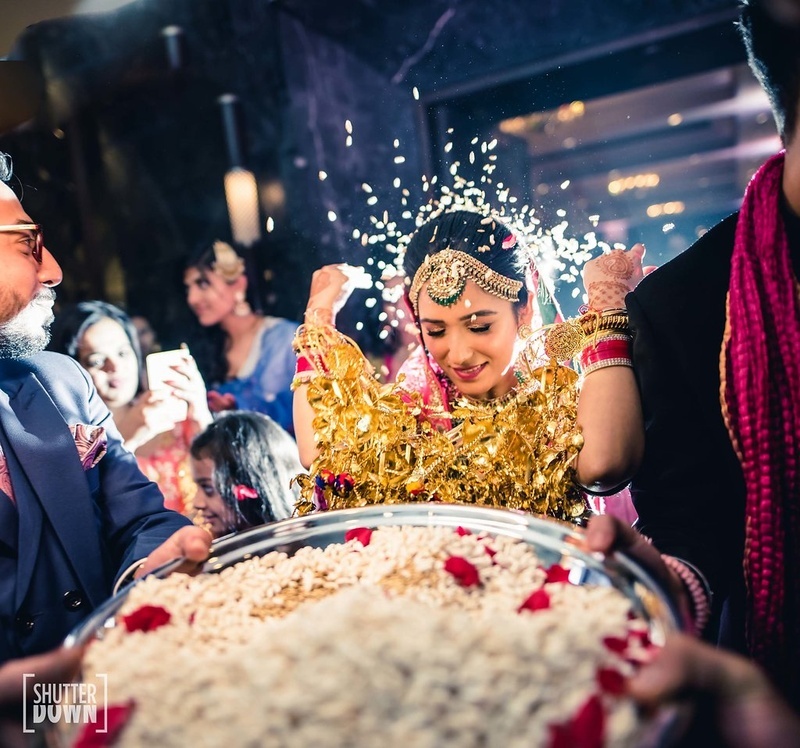 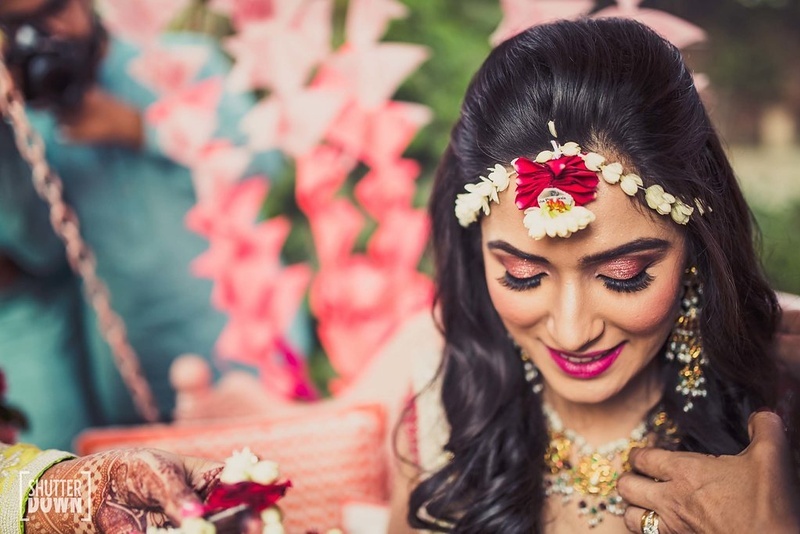 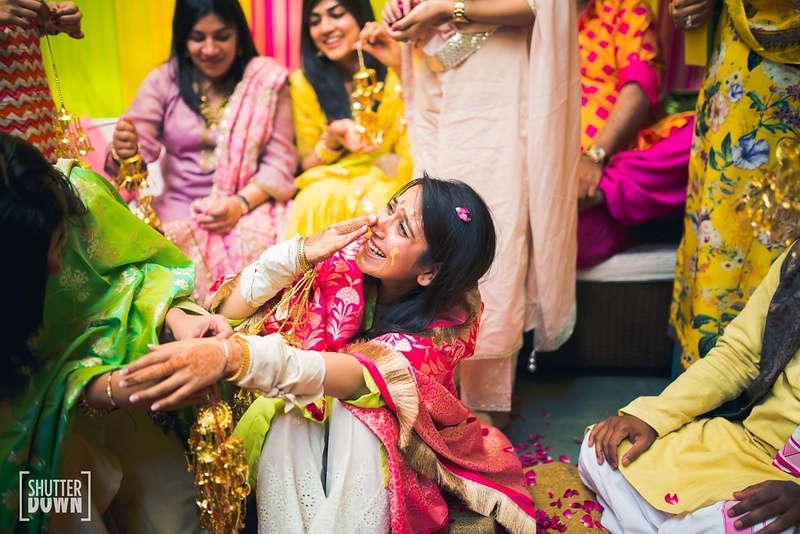 Her choice to not wear yellow to the haldi ceremony, to really pretty and uniquely designed floral jewellery and the minimal bridal jewellery she wore on the wedding day, has us sighing. 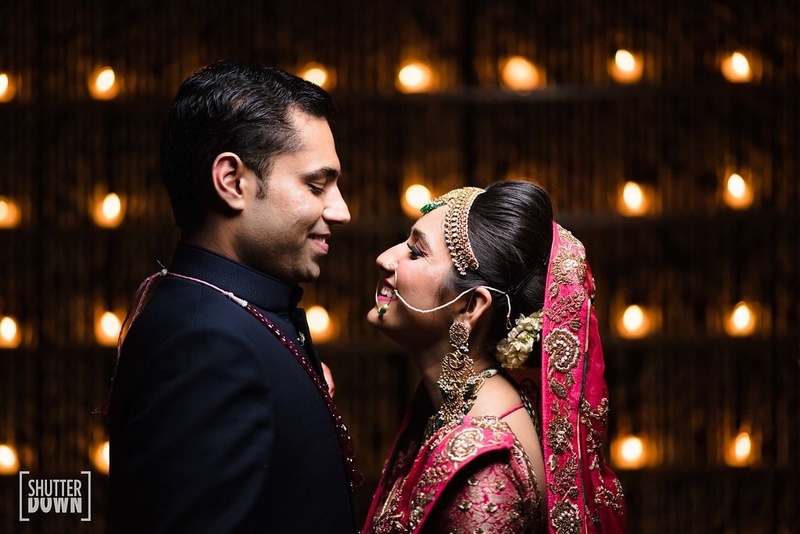 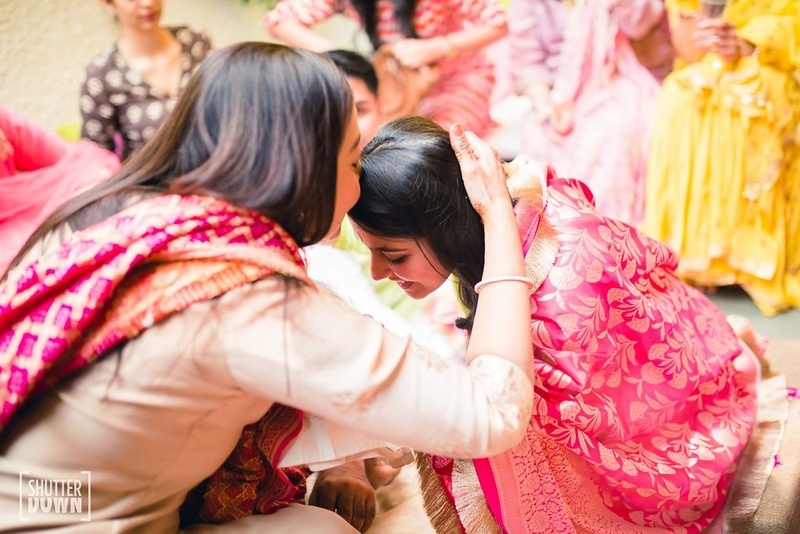 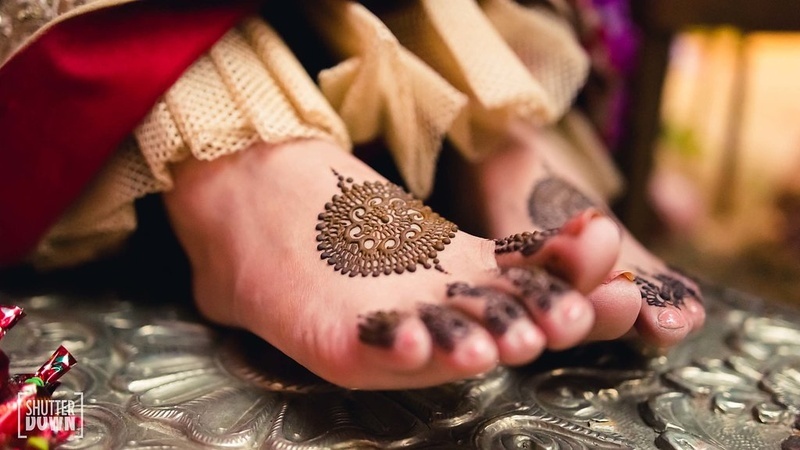 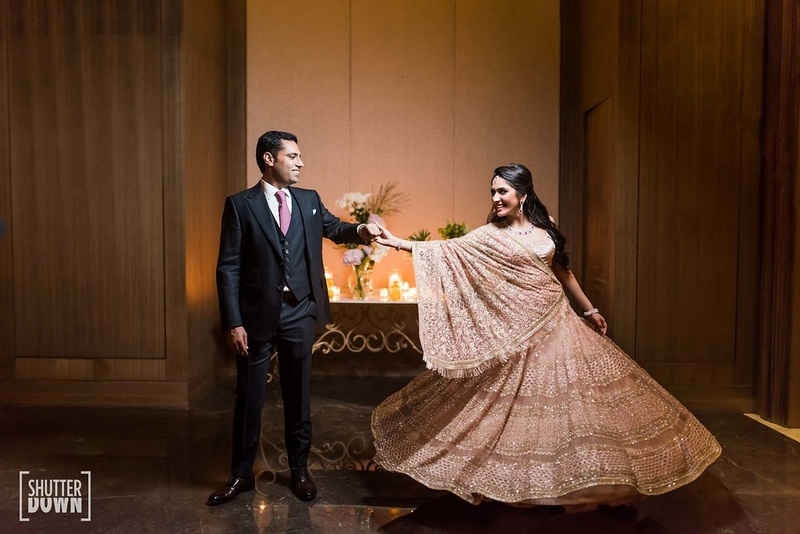 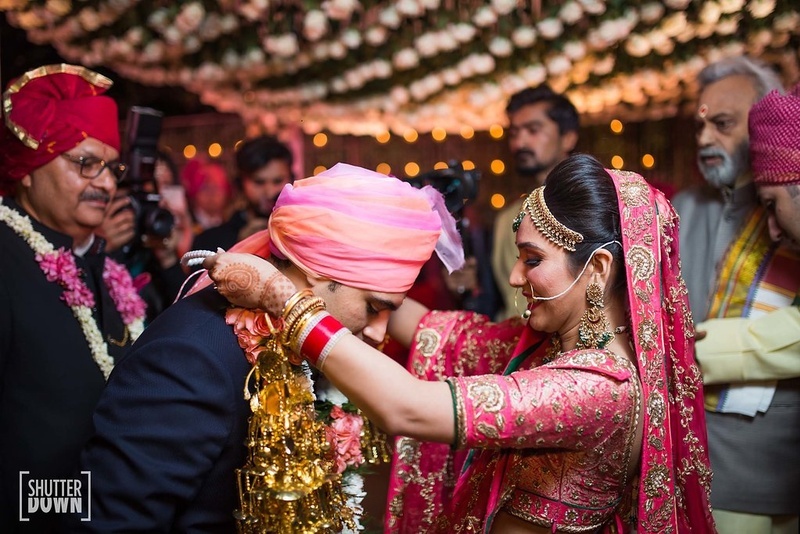 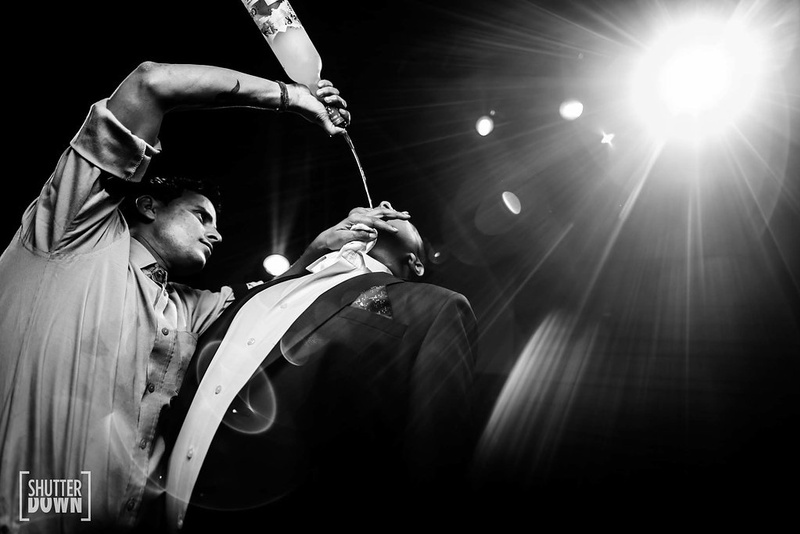 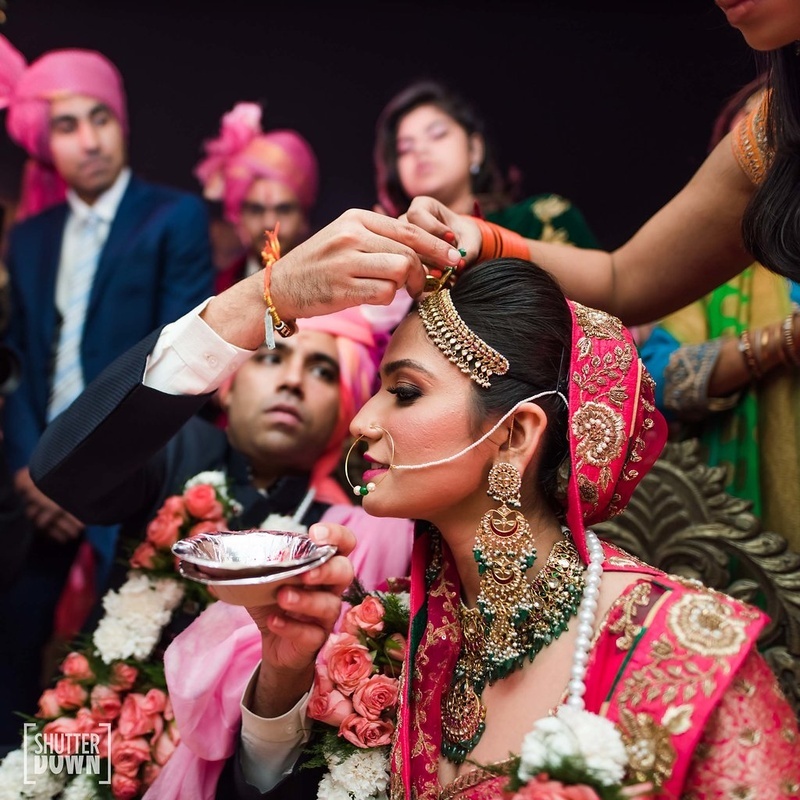 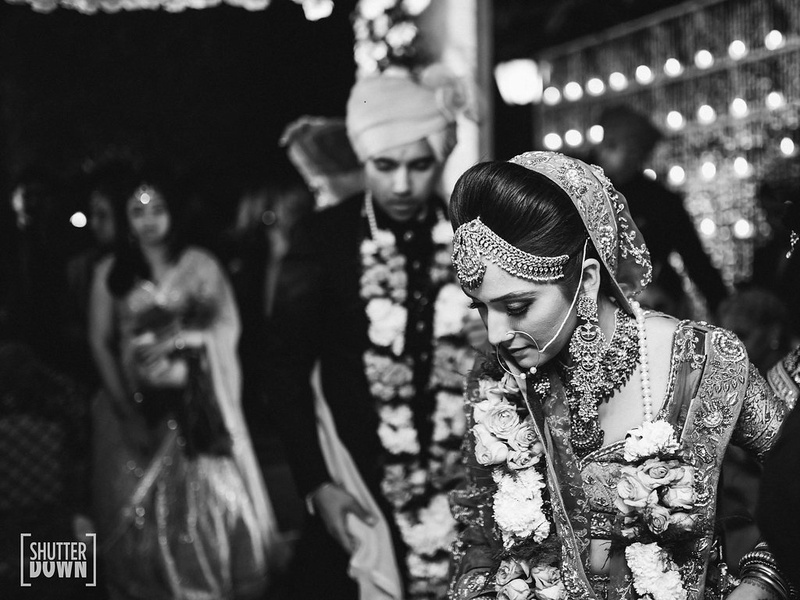 Check out this gorg story, getting its happily ever after at Taj Palace Hotel, Delhi below! 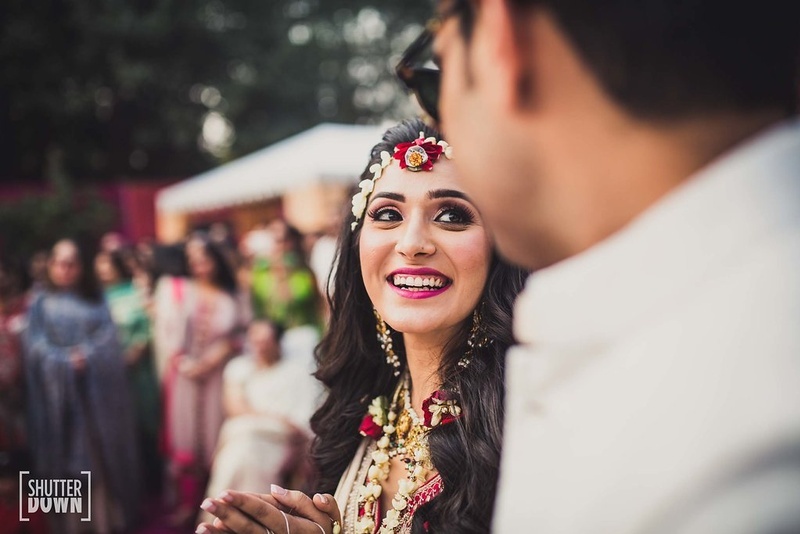 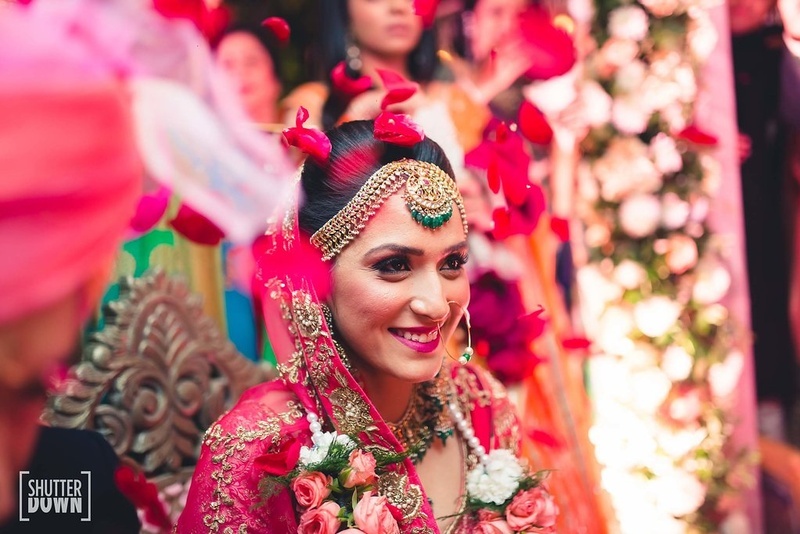 This winter bride's floral jewellery is wedding goals! 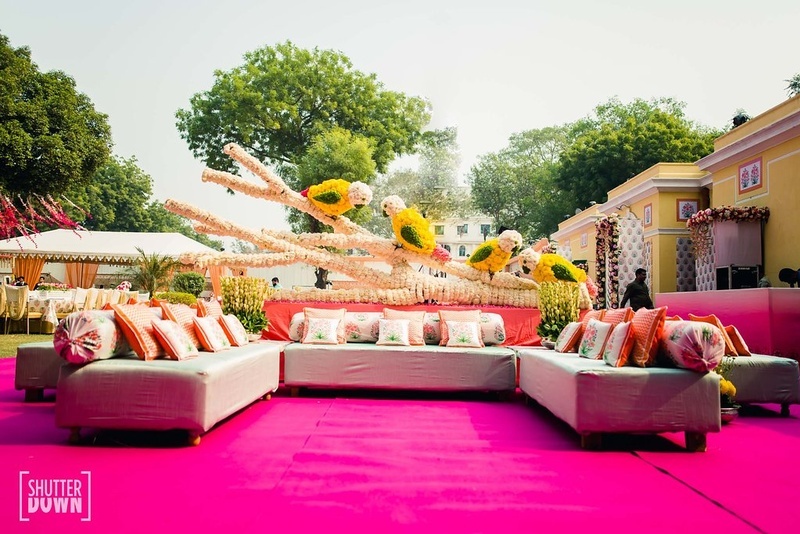 The mehendi area beautifully decorated!